It meets flexibility, softness and elasticity. 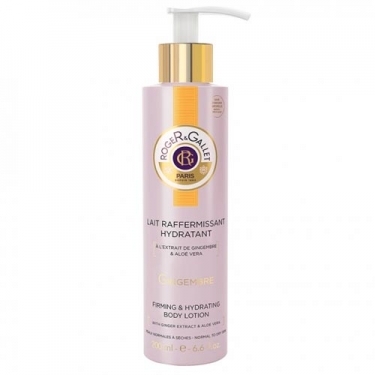 DESCRIPTION: Gingembre Lait Raffermissant Hydratant from Roger & Gallet is a moisturizing body milk with ginger essence, indicated for normal to dry skin. Enriched with vegetable oils, aloe vera and ginger extract, its light and fresh formula instantly melts into the water and leaves the skin incredibly soft and deliciously fragrant ginger notes. 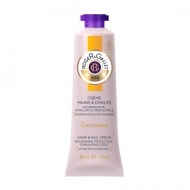 Fluid, non-greasy and absorbed quickly, nourishes in a lasting way. It presents olfactory notes of gingembre flower, néroli, bergamot, gingembre, ambreta, benjoim balm and musk. Without parabens, dyes and silicone. No mineral oils. Dermatologically tested. Apply to clean and dry skin, gently massage until completely absorbed.